designed to take Givi Monokey Top Boxes only. 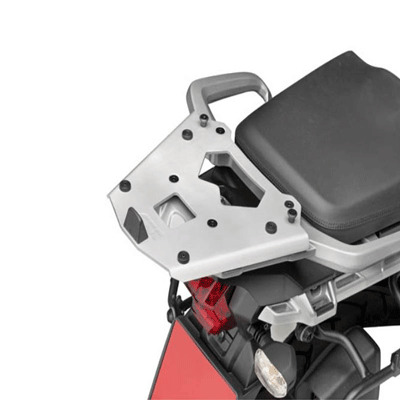 All parts needed to mount the Givi SRA6403 Aluminium Rear Plate are included. Maximum load allowed 6 kg. Please note that neither the Givi stop light kit nor the Givi remote control device can be used with this aluminium plate.